Welcome to New York City! At 5:30pm, meet your traveling companions in the lobby of your hotel for an enjoyable stroll through the streets of New York on your way to a 6 pm welcome dinner at the Heartland Brewery. 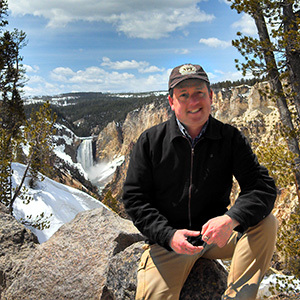 Your Tour Director will prepare you for your upcoming adventure. This morning on the included sightseeing tour with a Local Guide, visit Broadway, the Empire State Building, Greenwich Village, Chinatown, City Hall, Wall Street, and Trinity Church. Later, head to Philadelphia for included sightseeing focusing on the important buildings of this historic city, the “Birthplace of the Nation.” Visit major attractions, including the LIBERTY BELL. Continue south to Washington DC, the nation’s capital. This morning’s sightseeing features many of Washington DC’s famous landmarks, including the VIETNAM, KOREAN, and LINCOLN Memorials. Also, stop for photos at the White House and Capitol Hill. Enjoy an afternoon at leisure or visit the many museums of the Smithsonian Institution. Join us for an optional dinner tonight at one of Washington’s favorite restaurants, followed by an illumination tour of some of the city’s most beautiful monuments. Today we journey further through Pennsylvania to Lancaster, home to Amish and Mennonite communities whose religious faiths stress humility, family, community, simple living, and separation from the world. Tonight, visit an AMISH FAMILY and their farm, where you will learn more about their faith, culture, and traditional way of life that excludes the use of modern conveniences, such as electricity and telephones. You’ll have the chance to visit the barn, see their miniature horses, learn about their homemade quilts and crafts, and enjoy a delicious dinner. Today travel north through the rolling Appalachian Mountains and enter New York State. Cross the border into Canada for magnificent Niagara Falls. Enjoy an evening at leisure. This morning, you may opt to take the optional helicopter flight over the falls. 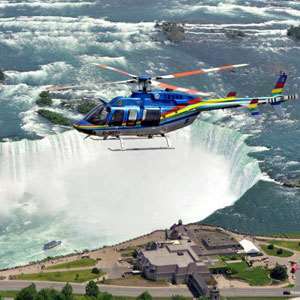 Then board a Niagara Falls sightseeing CRUISE for a thrilling boat ride to view the thundering falls from river level. Later, drive around the “Golden Horseshoe” of Lake Ontario and through vineyards and rich farmlands to Toronto, the cosmopolitan provincial capital. 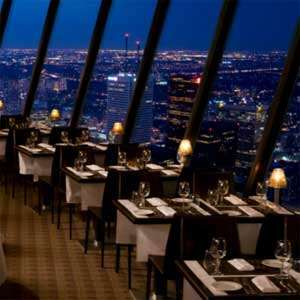 Tonight’s optional dinner outing includes a visit to the top of the famous CN Tower for great views of Toronto’s harbor and skyline. On today’s sightseeing, view Toronto’s two city halls, the Ontario legislature buildings, the university, and local neighborhoods, including Chinatown. The balance of the day is free, and your Tour Director will have plenty of suggestions for things to do and see in Canada’s largest city. Drive east into Ottawa, the country’s beautiful capital. On a guided tour, you’ll see the Canadian Mint, residences of the Governor General and Prime Minister, the hexagonal National Arts Centre, Parliament Hill, the Rideau Canal, and the stately residences. Tonight, why not enjoy one of Ottawa’s many special restaurants. Travel to Montréal, Canada’s second-largest city. Sightseeing with a Local Guide includes NOTRE DAME BASILICA, the Old Seminary of St. Sulpice, and a drive to the top of Mount Royal to enjoy a panoramic view of the city. This afternoon is at leisure. Perhaps stroll through the underground shopping area of Place Ville-Marie or visit historic Old Montréal. Today, continue east to Québec City and spend the next two nights in this romantic city located on the banks of the mighty St. Lawrence River. Until the British victory of 1759, Old Québec was the center of New France, and today is a UNESCO World Heritage Site. This evening, why not enjoy regional French cuisine with dinner in Old Town Québec? Join your Local Guide this morning for an included tour of Québec City, Canada’s only walled city, including the Place d’Armes, ancient Place Royale, and the Plains of Abraham. The balance of the day is free for independent sightseeing. 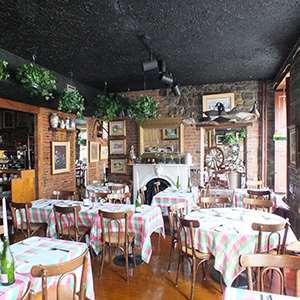 Tonight’s included dinner outing takes you to MONTMORENCY FALLS and over to ILE D’ORLÉANS for a delightful dinner at a fine restaurant in a restored 17th-century flour mill. Journey south and capture inspiring views of one of nature’s true masterpieces as the green carpet panorama blends to the grandeur of mountain scenery in northern Vermont, which is blessed with innumerable forests and lakes. Then, through New Hampshire to the majestic beauty of FRANCONIA NOTCH STATE PARK in the scenic White Mountains. Next, pass New Hampshire’s state capitol dome at Concord and continue to Boston. This evening is at leisure. Sightseeing focuses on the city’s most prominent landmarks. See Boston Common; the Old State House, OLD NORTH CHURCH, Freedom Trail; and Faneuil Hall, with a chance to browse in Quincy Market. Next, board a harbor CRUISE that takes you to see the Bunker Hill Monument. Later, enjoy a Boston favorite, an authentic Italian handmade CANNOLI. Balance of the day is at your leisure. Tonight, join your Tour Director for a farewell dinner at a local restaurant in the famed North End neighborhood. Your tour ends this morning with guests departing on individual schedules. For guests who would like to return to New York City, the motorcoach will return to the Sheraton New York Times Square at no additional cost. Transfers are not included to the New York area International Airports. 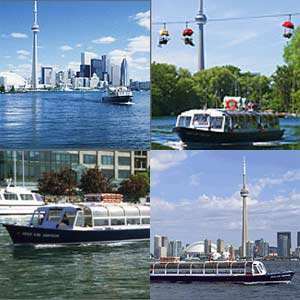 A cruise of the Toronto Harbor lets you enjoy the scenic Toronto skyline, plus allows you a close up look at the beautiful Toronto Islands and waterfront district.